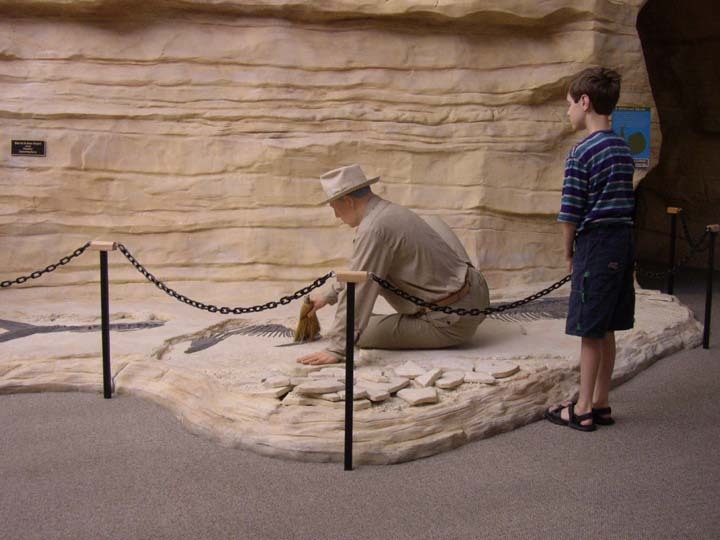 The Sternberg Museum of Hays State University moved here a couple of years ago. 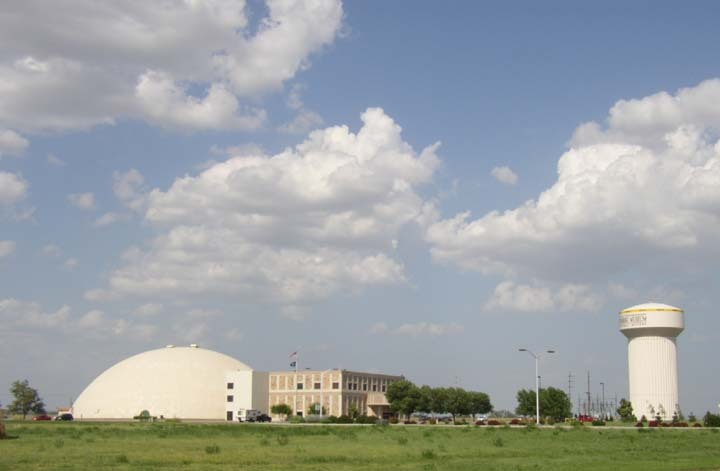 They acquired this facility from the state of Kansas; it was an entertainment complex, including a bowling alley. 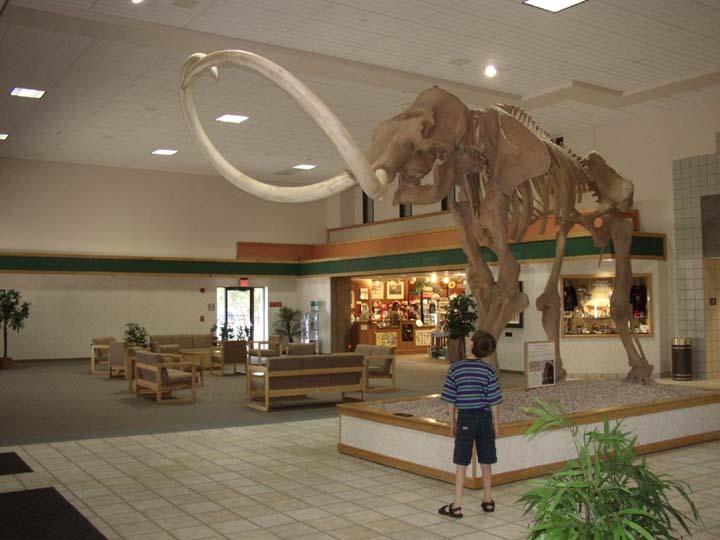 The mammoth was in the lobby of the Sternberg. 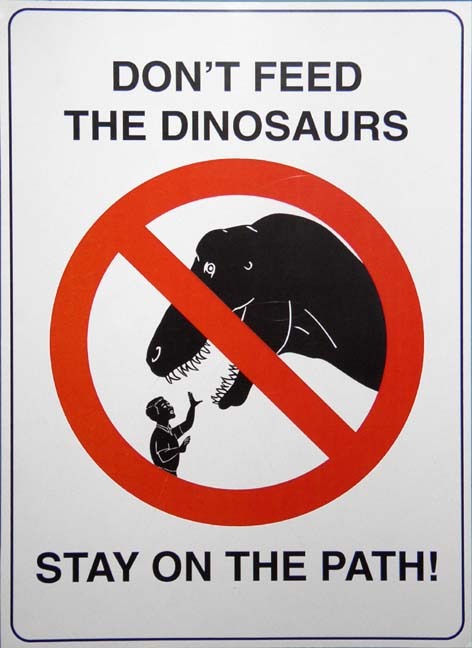 This sign preceded the (non-) animated dinosaur exhibit. 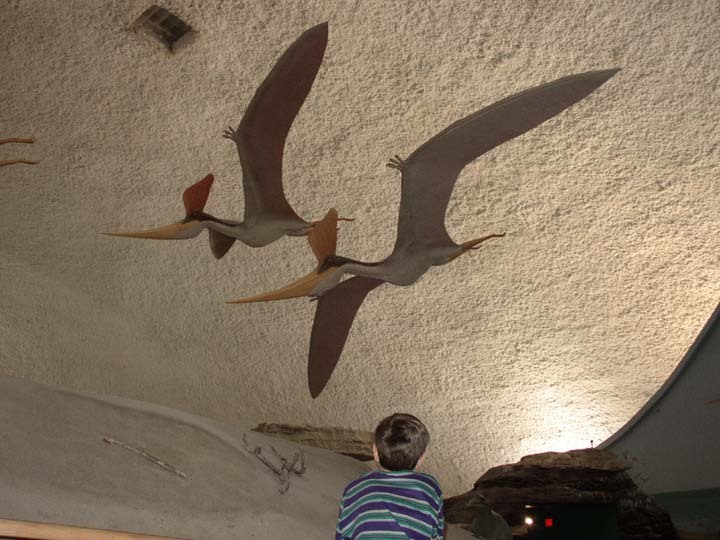 It is housed in the third floor of the round building and represents cretaceous Colorado. 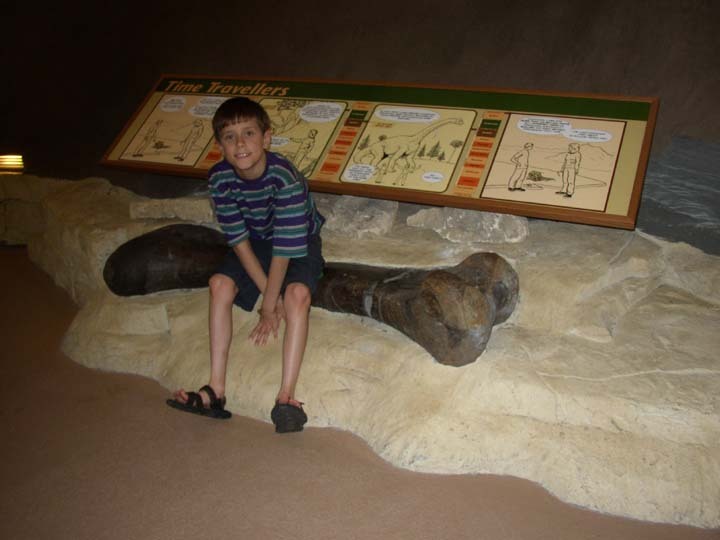 This is an Apatosaurus femur to touch and sit on. 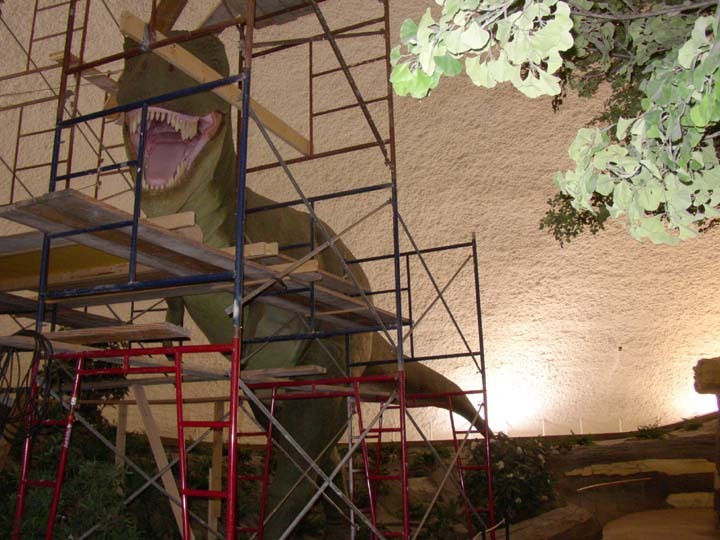 The T Rex, as were all the animated dinosaurs, under repair and non-moving. 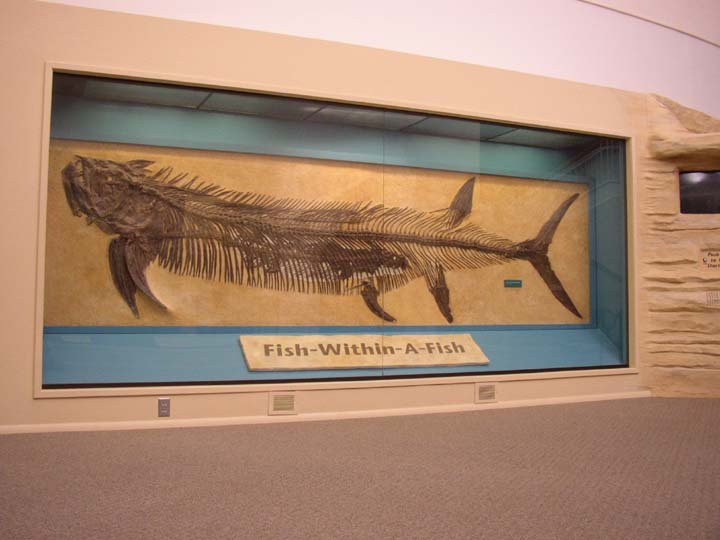 Charles Sternberg was head of the department at Hays State and in this display is depicted excavating his prize specimen, a fish-within-a-fish. 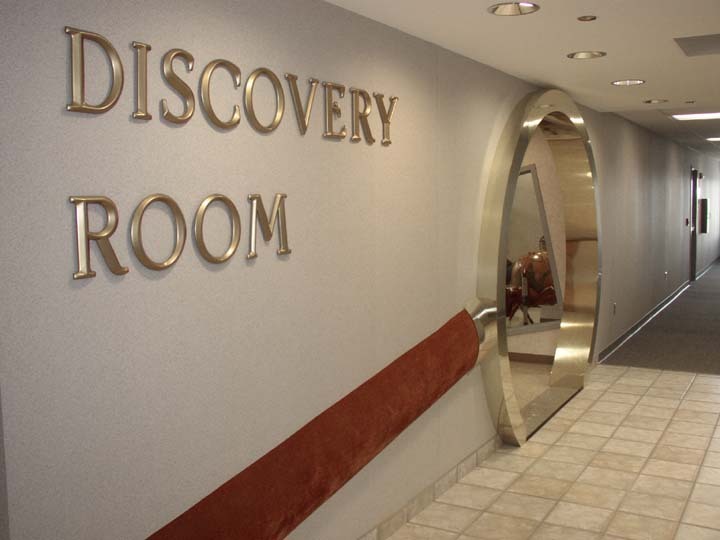 The Discovery Room, supported by the Ronald McDonald foundation. 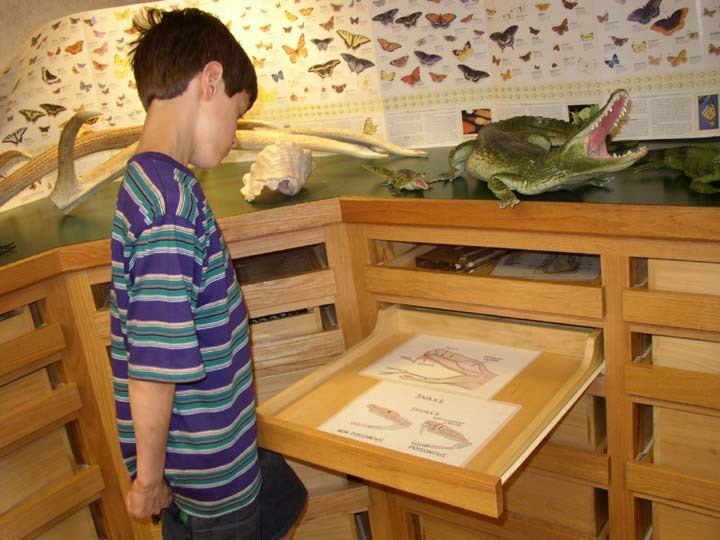 There were a hundred of these specimen and description drawers. Some held butterflies.